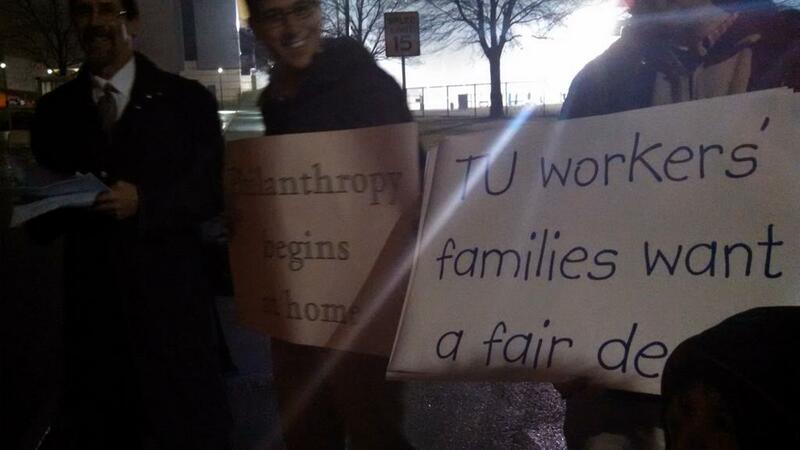 In its ongoing efforts to let the public know about the lack of a fair contract and seven-year wage freeze at the Times Union, the Guild showed up at last night’s Citizen Laureate dinner for the University at Albany Foundation. 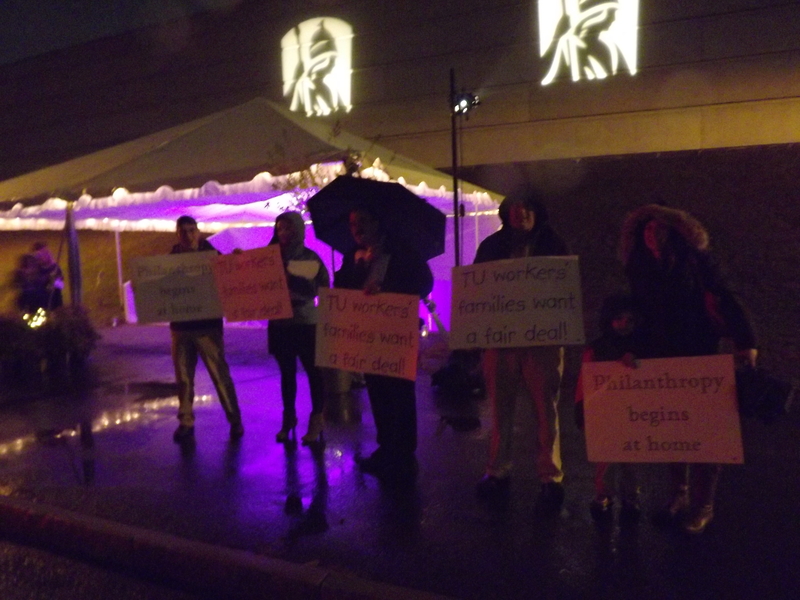 Braving a cold drizzle, Guild members handed out leaflets and held signs at the entrance of the SEFCU Center as people arrived to attend the annual dinner, which was hosted by Times Union Publisher George Hearst. He is chairman of the foundation’s board of directors. Despite those seven years, Mr. Hearst still will not deliver a contract unless the Guild agrees to hand over control of both employee seniority and outsourcing of jobs _ two extreme demands that no other union in the Capital Region, or New York State for that matter, is being asked to do. Mr. Hearst ‘gives in public’ to look good. He’s obviously a Charles Dickens’ character with his employees. Treating employees like this is a disservice to mankind.